Maverick Concerts’ Music Director Alexander Platt celebrated his 15th Anniversary at Maverick Concerts in 2016. His innovative programming reflects his commitment to the highest level of artistic excellence and his role as an advocate for the music of our time. He reintroduced chamber orchestra concerts to Maverick and created a chamber orchestra version of Del Tredici’s Final Alice. 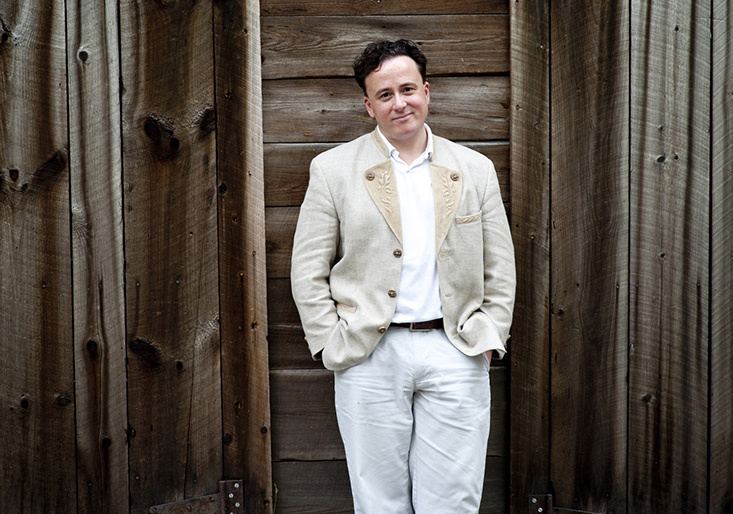 Alexander Platt has built a unique career spanning the worlds of symphony, chamber music and opera. He is presently Music Director of the La Crosse Symphony Orchestra and the Wisconsin Philharmonic Orchestra, and Artistic Director for Music at the Westport Arts Center in Westport, CT. Previously, he also spent twelve seasons as Resident Coordinator and Music Advisor at Chicago Opera Theater, where he led the Chicago premieres of such landmark 20th Century operas as Britten’s Death in Venice, John Adams’ Nixon in China, and the world-premiere recording of Kurka’s The Good Soldier Schweik – all to high acclaim. A graduate of Yale College, King’s College Cambridge (where he was a British Marshall Scholar) and conducting fellowships at both Aspen and Tanglewood, he started his career as the apprentice conductor of the Minnesota Orchestra, the St. Paul Chamber Orchestra, and the Minnesota Opera. He has guest conducted the Brooklyn Philharmonic, the Illinois Philharmonic, the Freiburg Philharmonic in Germany, the Aalborg Symphony in Denmark, the Scottish Chamber Orchestra, the City of London Sinfonia, Camerata Chicago, the Banff Festival, the Ravinia Festival, the Aldeburgh Festival, and the Houston, Charlotte, Columbus and Indianapolis Symphonies. He has recorded for NPR and the BBC. His Cedille Records disc with Rachel Barton Pine of Max Bruch’s Scottish Fantasy is often heard on radio stations throughout the world.